I'm busy working on some projects at the moment but I thought I'd pop in with a card I had published in a Paper Crafts Magazine special issue - Stamp It! 3 Ways: Volume 2. I was delighted to be asked to contribute to this issue, it's such a great concept. 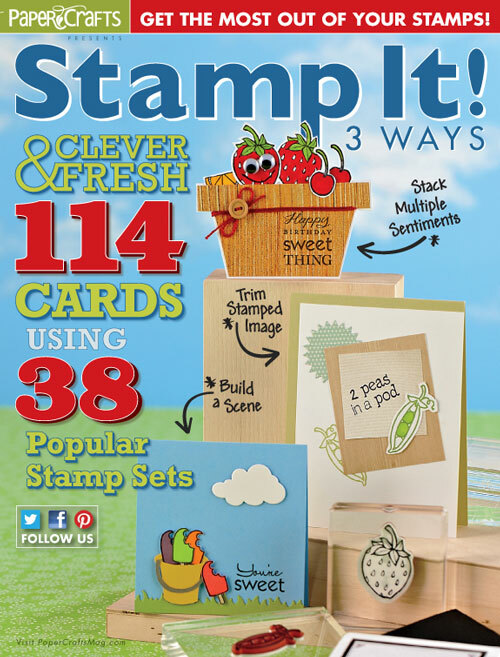 Three different designers are each given the same stamp set to create a card, it's really interesting to see what everyone makes with the same stamp set! 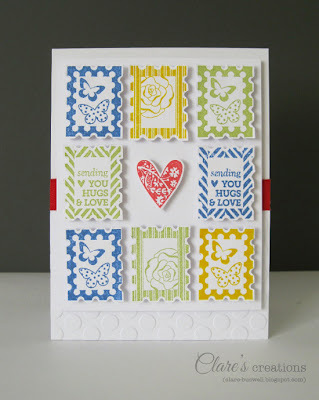 I was given the stamp set Pattern Hearts and Flowers from Hero Arts for BasicGrey. 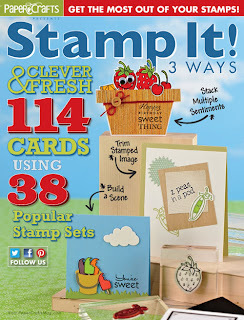 I kept the card clean and did a little fussy cutting with the stamped images and popped them on some foam pads. I love the heart focal point, red is great at drawing your eye in. Ok, I'll be back later in the week with my CASE Study card! I hope you're having a great week. Congrats on your published card! Love the heart in the center!